Several days ago, we introduced a wooden charging station for iPhone 6, but if you prefer rugged metal design, Rokform’s RokDock iPhone 6 docking station may be more suitable for you. 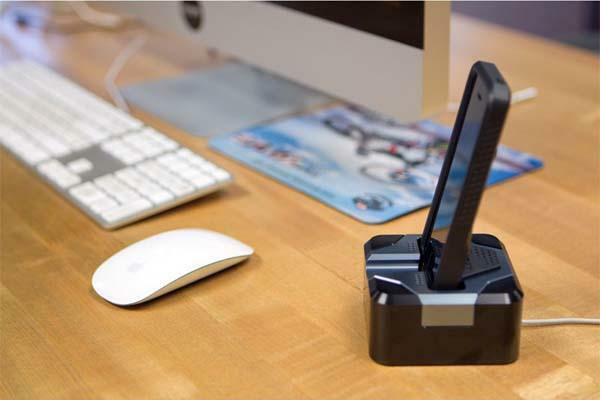 The RokDock is a well-crafted charging station designed for iPhone 6. The docking station measures 103 x 99.9 x 89.6mm, weights 185g, and as we can see from the images, the RokDock sports a tough and stylish design along with an eye-catching finish in order to perfectly match with your iPhone 6 or iPhone 6 Plus. 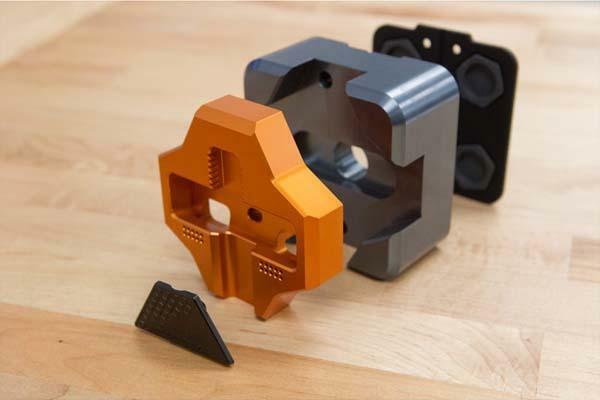 Moreover, the RokDock charging dock is CNC machined from aircraft grade aluminum for durable structure, and the weighted design lets you easily dock or undock your iPhone with one hand. 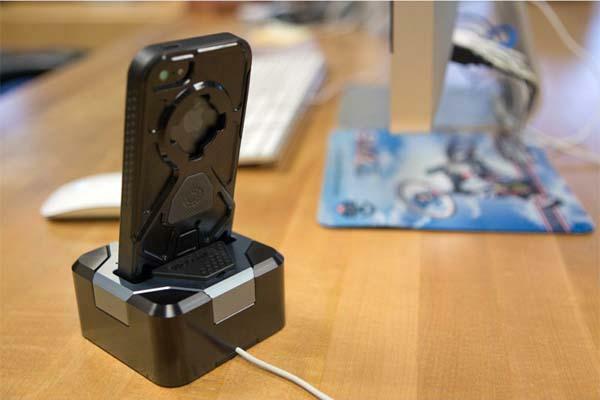 Apart from that, adjustable insert allows the iPhone 6 dock to fit most any iPhone 6 case, and the anti-slip grips keeps your RokDock securely on the desk. The RokDock iPhone 6 charging station comes in four tones and is priced at $99 USD. If you’re interested, jump to Rokform official site for more details.